The world's first skyscrapers are made from clay. 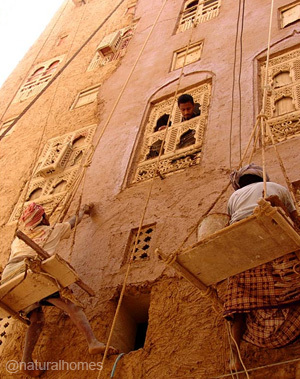 These are the eight storey, 500 year old, adobe (clay brick) homes of Shibam in Yemen. The city is a UNESCO world heritage site. 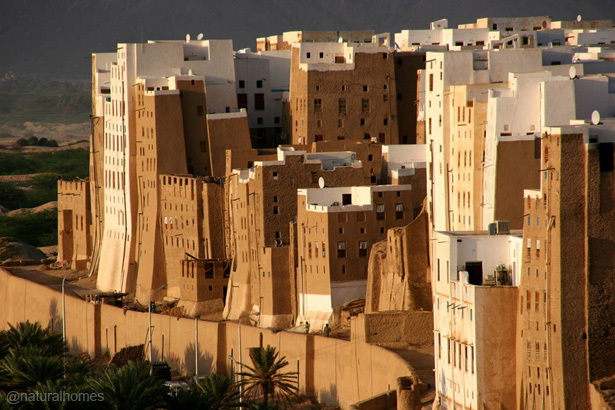 Because the homes are so tall and tightly packed, Shibam is known as the 'Manhattan of the Desert'. The city sits above the floodplain of the nearby river. 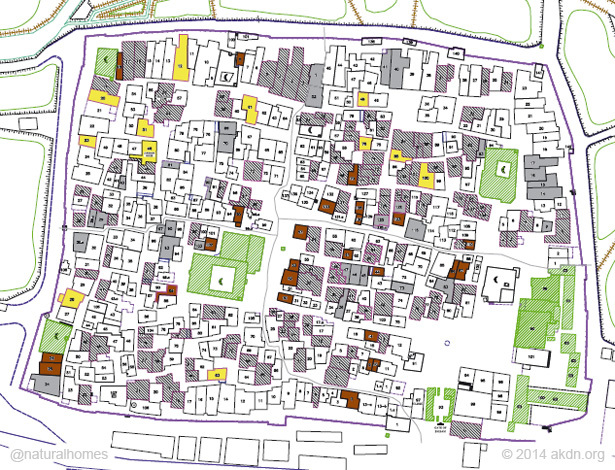 The geographic constraints of the site and of the city's exterior mud walls have limited outward urban expansion, so Shibam developed vertically forming a dense urban fabric of about 500 homes. The adobe brick walls, made from the river's clay mud, get thinner towards the top of the building to reduce the pressure on the lower walls. The earthen walls need to be re-plastered after erosion over time from wind and rain (below right). Even though the town stands on high ground, Shibam is at risk of damage from floods due to heavy seasonal rains. Residents whitewash the rooftops and the exterior facades of the buildings with a protective covering of crushed limestone to prevent water damage. 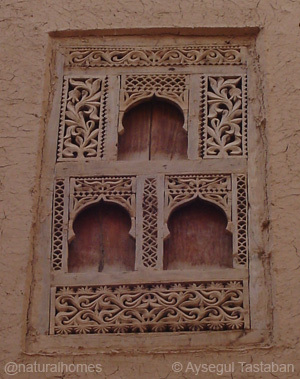 With many of Shibam's 20th century residents leaving the walled city a large number of the buildings began to deteriorate. 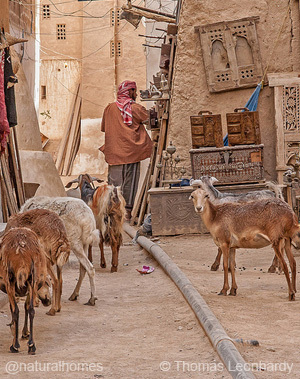 An important part of Yemen's culture was at risk of being lost to erosion. But in the past 20 years governments, agencies and individuals have cooperated to restore Shibam, not as a tourist centre but as a living city. Below is a map of the city showing the progress made in its restoration which to date has restored some 200 homes using traditional natural building techniques. 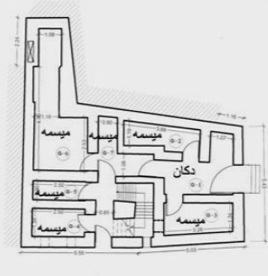 To the right of the map you can see the floor plans for a typical home, the windows for which are often ornately carved (above left) and carefully brought back to full glory by local artisans.